Sports massage is designed to alleviate the muscle stresses and strains caused by training and/or regular sports activity and be an invaluable tool in helping the body deal with these physical stresses. Sports massage has a number of physical, physiological and psychological benefits. 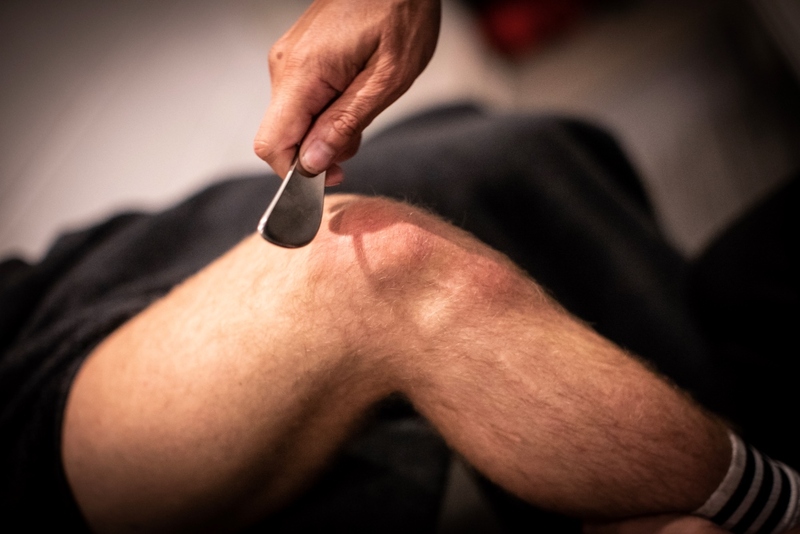 As well as helping the body to recover from any injuries incurred as a result of strenuous physical activity, the therapy is an important part of any athlete or sportsperson’s long-term injury prevention strategy. Setting aside time for regular massage treatment will also help to improve performance, mobility and overall long-term well-being. As well as massage helping with sports injuries and preparation there are a lot of medical conditions where massage can be beneficial. If you are preparing for a big athletic event, then it may be useful that you benefit from a pre-event massage. It can be performed anytime from 2 days before until immediately before the sporting event. It can help aid you in your preparation process by bringing warmth to specific tissues of the body and ultimately increase the blood flow to the deeper muscles. Relaxation Massage is a treatment of soft tissues in order to increase relaxation and restore the normal function of the body. There are many benefits to relaxation massage as it helps promote general health and well-being. This type of massage often leaves the patient with an increased sense of well-being, releasing endorphins which lifts their mood. Relaxation massage can be used as a one of treatment or regularly to improve flexibility and helping reduce emotional concerns as well as physical. Techniques are always tailored to the clients’ physical needs and situation; to be the most effective and time efficient – getting you better, quicker. The most basic massage movement – a linking movement by which the therapist maintains contact with the client while smoothly transferring from one movement or area of the body to the next. Soft tissues are compressed against each other or against the underlying bone or bones. As this involves compression of the skin and underlying tissues, it must only be applied to relaxed muscle tissues. Petrissage must be applied slowly and rhythmically and can be performed using either one or both hands..
Tapotement movements are applied to the fleshy parts of the body, e.g. buttocks, but are not appropriate on all areas of the body or in all circumstances. A tapotement movement usually takes the form of rapid movements from the wrists in which the body is struck with soft blows from each hand alternately and are generally performed for relatively short but even sequences / durations over specific areas of the body. Osteopathic manipulation (OMT) is a whole system of evaluation and treatment designed to achieve and maintain health by restoring normal function to the body. Manipulation means the therapeutic application of manual pressure or force applied to the joints and/or related soft tissue of the spine. The most common technique used is the ‘high-velocity thrust’ – a short, sharp movement, usually applied to joints in the spine, which often produces the sound of a joint ‘cracking’ – but many other methods are also used. Trigger points or muscle “knots” are sensitive spots in soft tissue, and many of them are termed “myofascial pain syndrome.”. These sore spots are as common as pimples, often quiet. They may be a major factor in back and neck pain, as a cause and/or complication. This is an effective way of relieving pain and sore muscles. The technique relies on the rubbing of a top layer of tissues against deeper muscle or bone. Friction massage is typically done using the ball of the thumb or a pointed object. It is a deep pressure massage done in small circular movements to penetrate deep tissues. The technique involves pressing on the tissue and rubbing it back and forth over the underlying muscle. This helps loosen knots in muscles, increases blood flow and relieves pain. A common example is massaging the muscles on either side of the spine. This deep tissue massage is good for relieving very tired or sore muscles. As a result, it is often used with athletes after a competition. MFR is a specialised physical and manual therapy used for the effective treatment and rehabilitation of soft tissue and fascial aches, pains, tension and restrictions. Myofascial is the connective tissue (fascia) in and around muscles, where muscles are the powerhouses of locomotion and posture for the body. Myofascial release is, therefore, an application used to alleviate tension, restrictions and adhesions in the myofascia in order to restore balance and function. Muscles respond well to firm deep pressure which is why MFR specifically targeting muscles and kinetic chains (muscle chains) uses a relatively firm force applied by the practitioner and also why therapy tools such as foam rollers, cricket balls and sports peanuts are so popular. Many people, especially sports people, like firm pressure and feel that muscular stretch and deep therapy work benefits them. When people are fit, healthy and physically active, deeper MFR approaches can be appropriate. Gua sha is a natural, alternative therapy that involves scraping your skin with a massage tool to improve your circulation. This Chinese healing technique offers a unique approach to better health, addressing issues like chronic pain. In gua sha, a technician scrapes your skin with short or long strokes to stimulate microcirculation of the soft tissue, which increases blood flow. They make these strokes with a smooth-edged instrument known as a gua massage tool. The technician applies massage oil to your skin, and then uses the tool to repeatedly scrape your skin in a downward motion. Gua sha is generally performed on a person’s back, buttocks, neck, arms, and legs. A gentle version of it is even used on the face as a facial technique. Your technician may apply mild pressure, and gradually increase intensity to determine how much force you can handle. The benefits of gua sha? Gua sha may reduce inflammation, and often used to treat chronic pain, such as arthritis and fibromyalgia. Soft tissue release is a technique of assisted stretching of muscle fibres, tendon and fascia. This involves repeatedly and quickly stretching small areas of the soft tissue. Precise pressure is applied to part of the muscle which is then moved to achieve a very specific stretch. Generally speaking, passive STR is useful when warming up large areas of muscle before more direct precise work. It can be gentler than having the client move the limb. Passive STR is also useful to educate the client on the movement required before moving into active STR. With active soft tissue release, the client actively moves the limb. This is likely to produce a more forceful stretch, and so the general area is best warmed up first with passive STR. Active STR also allows the therapist to apply a greater degree of precision by focussing on the lock, whilst the client focuses on the movement to generate the stretch. Book 6 relaxing massages or invest in your injury recovery. Most injuries require a minimum number of sessions so that tissue can be repaired to a functional state.